The holidays are gone and so are the late nights, parties, drinks, outings and travels. Holidays leave us happily tired, but all those great memories tend to take a toll on our skin. I'd like to introduce you to a product that will coax your skin back to its fresh and supple self! Skin Brunch Kukui Rejuvenating Mask is vitamin-rich and packed with anti-oxidant Kukui oil that contains essential fatty acids to give skin a nutritious boost of radiance. Essential oils relax and restore glow while macadamia, mango and coconut oils nourish and hydrate. This amazing mask will give your skin the vacation it needs after your vacation – it will nourish overworked skin while the amazing smell reminds you of sunnier days. My Experience: I received a sample of this amazing and delightful rejuvenating mask to review. 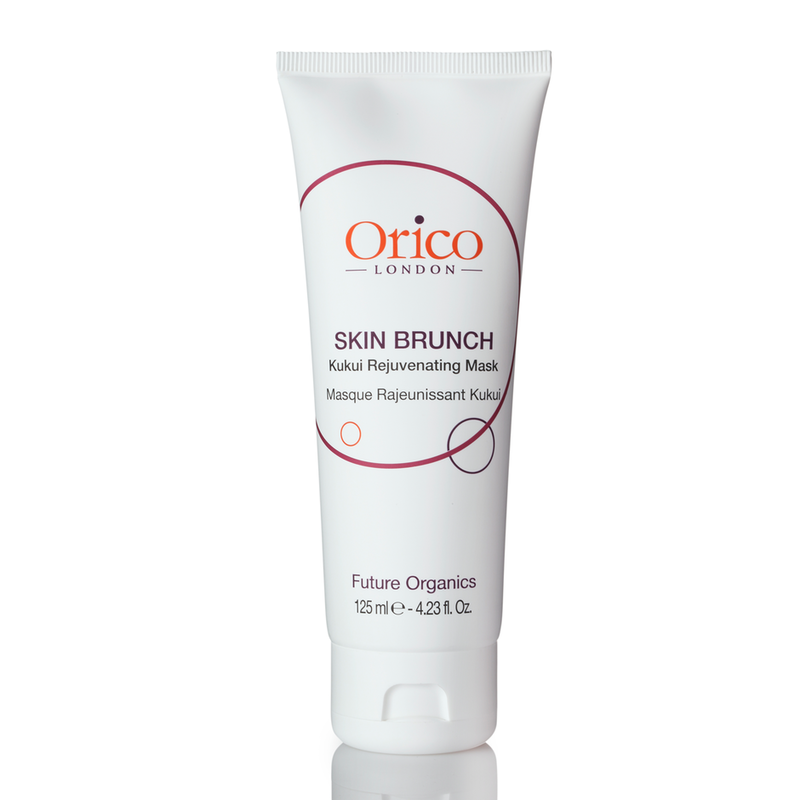 Orico Skin Brunch Kukui Rejuvenating Mask smells so delicious, like fresh oranges. I use it at night after I wash my face, applying it all over my face, neck and chest area. I leave it on until it dries, (about 10 minutes.) All the while I enjoy the uplifting aroma of oranges. After I rinse, I gently pat my skin dry and immediately I notice that my skin is softer and my pores are greatly reduced. All the next day my skin looks amazing and refreshed. I love it! I use it twice per week.